If your business deals with the personal information of EU citizens, or you are not sure if GDPR applies, you should come! On May 25, 2018, new legislation aimed at giving individuals more control and protection over their personal data – the General Data Protection Regulation (GDPR) – went into effect. Is your business ready for the GDPR? 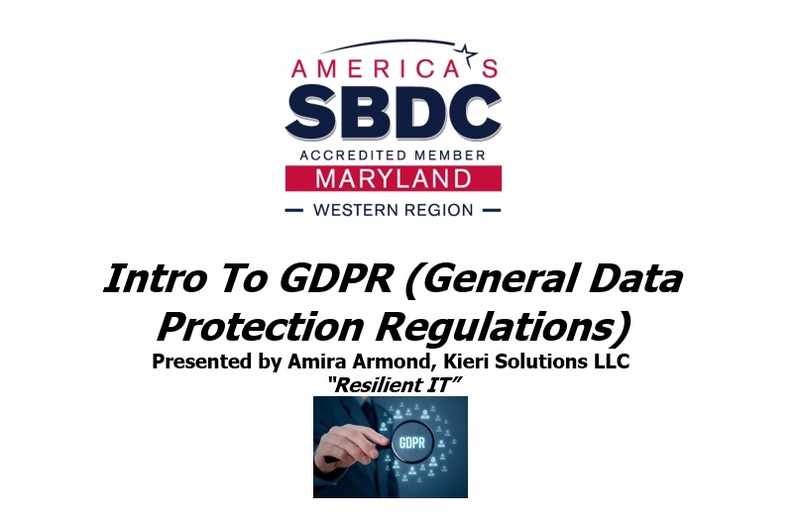 Join this seminar to determine what a business owner (even a large business) needs to know about GDPR. Determine if it is applicable to your business, and it if it does, what do you need to know, and next steps. your contact information is needed in case of change in plan for the session!